This is a LIMTED EDITION LCR. 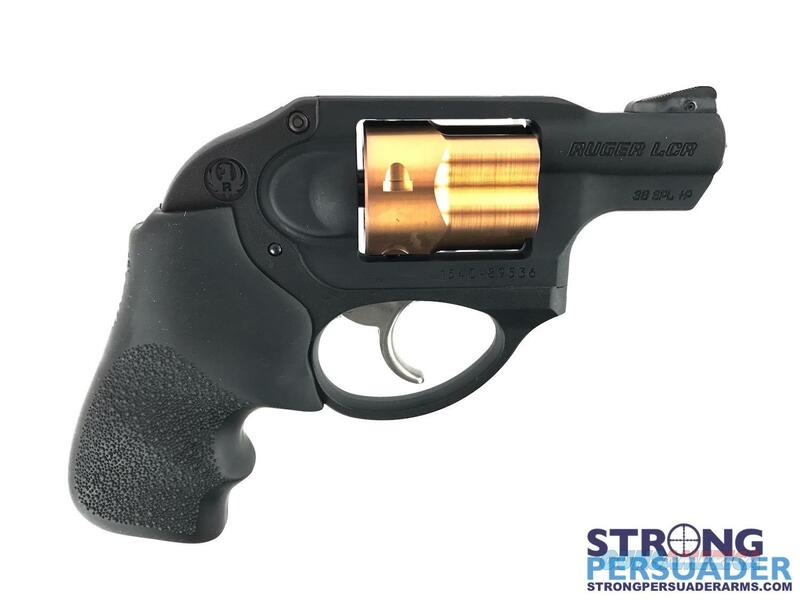 The LCR double action revolver has become the most popular small caliber pocket revolver on the market. At just barely over 16 ounces in weight with overall dimensions of 4½ inches high by 6½ inches long by 1.28 inches wide, it is the perfect pocket companion for any concealed weapons requirement. 1.875” barrel; Hogue Tamer Monogrip; Replaceable Pinned Ramp Front Sight; U-notch Integrated Rear Sight; PVD Finished Copper Anodized Cylinder; Matte Black, Synergistic Hard Coat Finish; Monolithic Aerospace 7000 Series Aluminum Frame. You will be required to provide a signed credit card authorization form if you wish to pay through that method. Too many phone authorizations are getting rejected for fraud. If you buy the item and you later do not clear background checks or for some other reason do not accept the item. other than its condition not being as described, you will be charged a 25% restocking fee. In addition, if we have to ship a gun back on a transfer, you will be responsible to pay shipping up front. We also can help you obtain any NFA ITEMS that interest you. Don't have a GUN TRUST for your NFA ITEMS? We can help! !